Dr. Ellis discusses the chief question you must answer in considering an intervention and describes some of the most common mistakes families make in confronting addiction. Intervention may sound like an aggressive, emotionally charged event. The guilty party, the addict, sits surrounded by the prosecution (i.e. family and friends). Accusations are hurled, batted away, but eventually the addict is pummeled into submission and goes to prison (i.e. treatment). 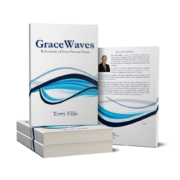 While an intervention can be highly emotional and even occasionally volatile, a successful intervention is conceived in love, conducted in grace, and leads to hope for everyone involved. That may sound absolutely, outrageously impossible to you right now. I assure you, I have seen it happen, and it is a wonder to behold. Celtic Christians spoke of the “thin places” in life, where the world of the spirit draws very close to the physical world. We’ve all had those experiences, though we may not have identified them as such. A quiet, star-filled night sky, holding a newborn, sitting quietly in a sanctuary, these are a few examples. The things of earth recede for a moment, and we remember that we are not alone. That is my experience with interventions. What may begin with incredible suspicion and resentment ends with tears and hugs. How is this possible? It is the inevitable consequence when an event is bathed in grace and love. We all drop our weapons and defenses, and then the Spirit draws near. We remember together that we are not alone. You are likely to be full of fear right now, the polar opposite of trust. Anger boils, the polar opposite of acceptance. There is a way for all of us to get well, but we must carve out a quiet place to hear the still, small voice of God. This can happen. Grace has brought us safe thus far, and grace will lead us home.